Ski resorts can be like buses – you wait for ages for one of them to open early and suddenly two do it on the same day. Today (Wednesday 26 November) both Courchevel and Val Thorens opened early for a preview day of skiing. In the case of Courchevel, which doesn’t officially open until 05 December, it is a genuine dress rehearsal for the season. Courchevel broke the news on Monday morning via Twitter that three runs would be open to ski for free on Wednesday. This was followed up by a video posted to YouTube confirming the three runs that would be open and that parking in resort would also be free. They were also handing out free hot chocolate to anyone who can make it for a Wednesday off work or school. Although nowhere near the full area was open, it still represented great value – as well as the kudos of being one of the first to get in some turns this season. This isn’t the first time Courchevel has offered a free exclusive preview, although in previous years there has been more snow and a bigger area open. Just over 24 hours after Courchevel’s announcement – with their de facto status as the first resort in Les 3 Vallees to open this season in place – Val Thorens also announced they would be opening ‘early’ on Wednesday. Technically, the resort is really opening late as they postponed their original opening date from Saturday 21 November to Saturday 28 November due to the poor snow conditions. However, the snowfall last weekend and this week gave them the chance to launch the season with an ‘earlier-than-planned’ opening, if not an actual ‘early’ opening (if that makes sense!). 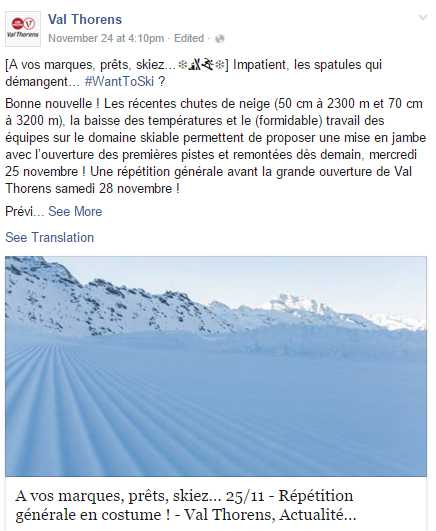 Would Val Thorens have opened up for skiing today if Courchevel hadn’t made their own announcement? We’ll never know the answer to that, but it would not have looked good if the highest ski resort in Europe had been outdone by its close neighbour. What is encouraging is that both of these resorts are offering skiing in November and there are more top-ups of snow due. Let’s keep our fingers crossed for a snowy December to help UK consumers ditch the memories of last season’s appalling start and help fill some of that excess Christmas capacity. Operators are struggling to sell Christmas week and already there has been heavy discounting by some companies – flights, transfers and full board chalet accommodation for £399 might be great for consumers, but there’s no margin in there for the industry. 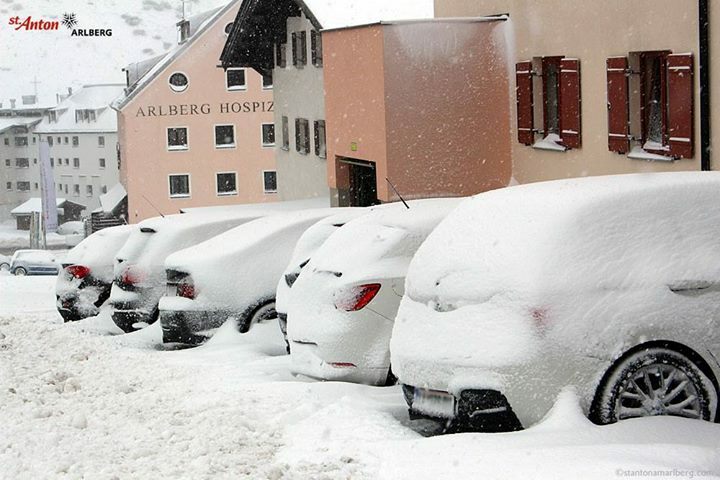 The more ski resorts that open early, the better for consumer sentiment – so let it snow, let it snow, let it snow!